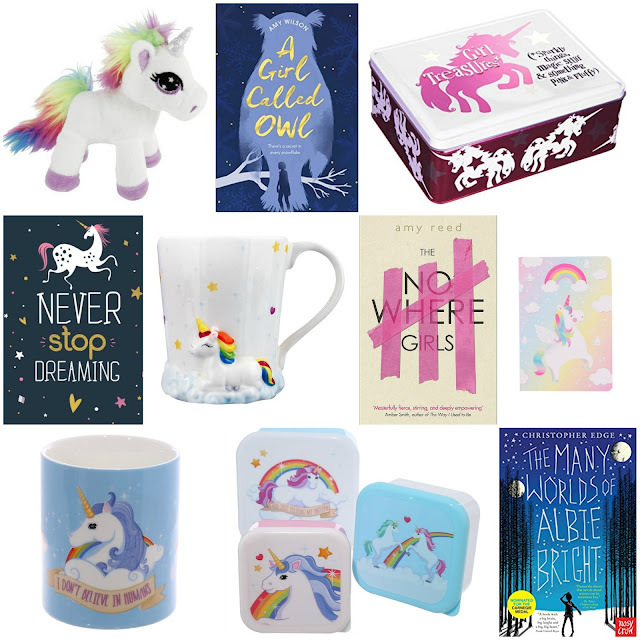 Enter this giveaway for a chance to win YA books and a unicorn plush and tin and notebooks, mugs and lunch boxes. Good luck! Winter. There's something about snow that I find appealing whether a romance, fantasy or horror story. I don't have a favourite, any time of year is good for different reasons, each of the seasons can be magical in their own way. "What's your favorite time of the year to read about and why?" Autumn! I just can't get enough of autumn! I love reading romance books set in winter at Christmas. We have summer at Christmas and winter seems so much more romantic. The season doesn't matter to me, it's the plotline that takes my interest. There isn't a particular season that I prefer to read about! I tend to like to read about the season we are in for some reason. It changes throughout the year I guess. Not one in particular, tbh. I love Christmas time. Always a cheerful and exciting time. They are so many great book around this time of the year and love admiring the book covers also. Summer because it's my favourite season. A good writer can make me feel like I the sun is actually on me. Summer because I love the warmer weather. I love summer stories, it is a romantic season. Summer because it's my favourite season. I love reading about winter and Christmas. Makes me feel all cosy! Christmas is always fun to read about. Summer is lovely because Mother Nature is putting on her best show! Winter. Some amazing authors use mind blowing words to describe winter. I don't have a favorite time of the year to read about!! They are all fine to me. I absolutely love to read about spring. Spring is my favourite time of year and reading different writers' perception of it, awakens my all senses. I think winter because that's when I do the most reading! I honestly don't have a favourite time. To be it's about the story, the characters, the way I feel them. Lovely giveaway thank you. I don't have a favourite season to read about, it depends on the story. My favourite season personally though is summer as I love the sun and longer days. I like reading summer stories beacuse it is the romantic season. i love reading about winter when im cosy and warm inside! I love reading stories set at Christmas because it's my favourite time of year. I love reading stories set in summer, especially if the beach is involved\! I don't have a favorite time to read about. I don't have a favorite time of year to read about. Never thought about that. I love reading books set in Autumn, it always has such an intense atmosphere! I enjoy reading books set in summer, despite it being my least favourite season! I think the descriptions are often lovely in summer books, and the characters are generally more optimistic. Winter so I can curl up and read on my couch under my cosy throw! To love Christmas or winter novels, even in the summer. Christmas ones are full of love and magical times for children and for adults the promise of the New Year and new possibilities. I love curling up on the sofa in the warmth of the radiator (no open fires unfortunately) and reading about snow and log cabins. Christmas because it's all about happy family moments! I always enjoy reading Christmas stories because it's such a special time of year and miracles can happen during this most joyous season. I love reading about "mystical" times - solstices, deep winter, midsummer, etc - because that usually means I'm reading fantasy!